Great Yarmouth North Beach01493 846346work BeachGreat Yarmouth's North Beach is a glorious sandy beach to the north of the seafront and Britannia Pier. Wide sand dunes, perfect for dog walking at any time of year, leading to a quiet, wide sandy beach facing towards Scroby Sands Wind Farm. Waterways, tennis courts and bowling greens are nearby with a range of beachside cafe's. Along North Drive you will find paid parking, disabled access to the beach and public toilets. 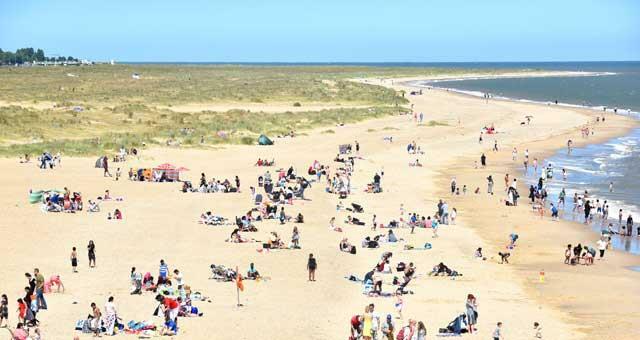 Further along North Beach finds itself the summer home to a rare colony of Little Terns from Africa which has been migrating to Great Yarmouth for over 20 years. Every May around 300 pairs of little terns arrive to nest and raise their chicks returning to Africa again in the autumn. Great Yarmouth's North Beach is a glorious sandy beach to the north of the seafront and Britannia Pier. Wide sand dunes, perfect for dog walking at any time of year, leading to a quiet, wide sandy beach facing towards Scroby Sands Wind Farm. Protective fences are raised around the colony to protect them however you are asked to report to the RSPB cabin first to seek advise on the best way to view without disturbing these wonderful birds. North beach is to the North of Britannia Pier.